392 x 295 mm. – ff. , LXXVIII. With 40 etched anatomical plates, and coloured woodcut of Nuremberg arms on title. First edition of the German abridged translation of De humani corporis fabrica libri septem, one of the most influential works in the history of Western medicine. In the publisher’s original calf binding. This work is now sold. As mentioned in the subtitle (‘a short compendium of the description of all parts of the human body, from the books of Andreas Vesalius’), this book contains an abridged version of Vesalius' epoch-making anatomical treatise, De humani corporis fabrica libri septem (‘seven books on the structure of the human body’). Andreas Vesalius (1514-1564) was appointed physician to Charles V and later to his son Philip II. He is regarded as the founder of modern ideas on anatomy. The German edition at hand was edited and probably also translated by Jacob Baumann (1520-1586), a physician from Nuremberg, who signed the introduction. 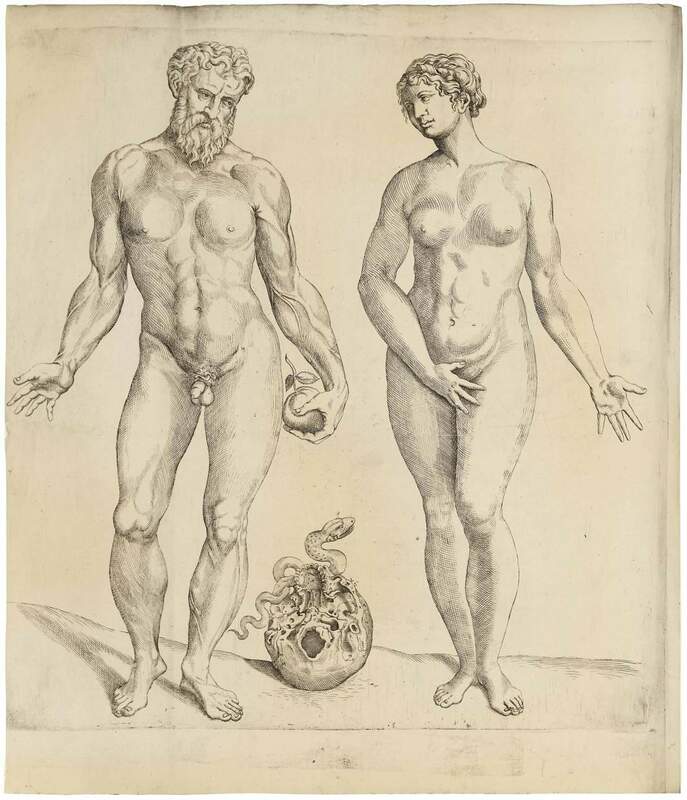 Unlike the original illustrations of the Fabrica, the impressive anatomical figures in the German edition at hand are copper engravings, not woodcuts. The plates show Adam and Eve, anatomical instruments, muscle groups and skeletons, veins and inner organs.